Do You Need Extra Expense Coverage? Extra expense insurance covers expenses you incur to avoid or minimize a shutdown of your business after your property has sustained a physical loss. This coverage can allow your business to continue operating at the same location or elsewhere after your property has been damaged by a fire or other peril. Extra expense coverage may be added to a standard commercial property policy via a separate form or endorsement. It may be purchased alone or in conjunction with business income (also called business interruption) coverage. Some package policies, including the ISO businessowners policy, automatically include some extra expense coverage. While many businesses can benefit from extra expense insurance, this coverage is especially valuable if your business has any of the characteristics listed below. It provides continuous services that customers depend on seven days a week. Examples are data centers, security services, and airport shuttle services. It cannot shut down because the services it provides are essential to the community. Examples are hospitals, medical clinics, nursing homes, homeless shelters, and banks. The following example demonstrates the importance of extra expense coverage. Brenda operates a computer repair business out of a small building she owns. A tropical storm just blew through town and damaged one wall of the building. It also tore off the roof of Brenda's building. The damage to the building is covered under Brenda’s commercial property policy. However, the repairs will take six months. Brenda can't afford to shut down her business until the building is repaired. To keep her business up and running, she subleases space in a nearby office building to use as a temporary shop. She has to pay a moving company to transport her business personal property to her makeshift location. She also incurs costs to establish interim phone and computer connections, and to notify her customers of her temporary digs. Fortunately, Brenda heeded the advice of her insurance agent and purchased extra expense coverage. This coverage is designed to cover the types of expenses Brenda has incurred. Extra expense insurance covers expenses that are over and above your normal operating expenses. These expenses are covered only if they are incurred due to physical damage to covered property by a peril insured under your policy. The term extra expense is typically defined to mean expenses you incur during the period of restoration that you would not have incurred if the physical damage had not taken place. In other words, it means the extra money you spent that is directly tied to the physical loss. These expenses are generally covered if they are incurred for any of the reasons listed below. Coverage applies whether you continue operations at your existing location, move to a temporary location, or move to a new (replacement) location. Coverage includes moving expenses and costs to set up and operate your business at the temporary or new location. 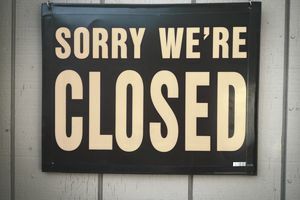 If your business must close down, extra expense insurance covers costs you incur to lessen the effect of the shutdown. For example, suppose you operate a grocery store and are forced to shut down because a fire has damaged the electrical system in the building. You purchase a generator so that you can reopen your store a week before your electrical system is repaired. You have reduced the shutdown by seven days. Thus, the cost of the generator should be covered. To repair or replace damaged property, but only if these costs reduce the total amount of loss that would have been payable. Most of the costs associated with repairing or replacing damaged property are covered by direct damage insurance. However, extra costs you incur to repair or replace damaged property are covered by your extra expense coverage if they reduce your overall extra expense loss. For example, suppose that you operate a retail store in a building you own. You are insured under a commercial property policy that includes extra expense coverage. A windstorm destroys one wall of your building. Repairs will take three months. You can continue to operate your business by moving to a building across the street and paying rent there for three months. Alternatively, you can pay a contractor 30% extra to have the repairs completed within a month. The extra money will be used to rush building materials to your location and to pay the workers overtime. You choose the second option. The cost to expedite the building repairs is less than the cost of moving to another building and paying three months' rent. The extra money you spend to speed up the repairs should be covered by your extra expense insurance. Extra expense coverage applies to expenses that are incurred during the period of restoration. This term means the time required to repair or replace your damaged property. The period of restoration begins on the date of physical loss. It ends when your damaged property has been repaired, rebuilt or replaced (assuming you haven’t caused any unreasonable delays). If you are moving to a new location, the restoration period ends when you start up your operations in that location. The period of restoration does not include any extra time you spend testing for or cleaning up pollutants if the testing or cleanup is required by law. In some cases, a local ordinance may require you to use certain building materials or construction methods if you repair or replace damaged property. The use of such materials or methods may slow down the repair process. The extra time required to make repairs due to a local ordinance isn't included in the period of restoration unless you have purchased an endorsement called Ordinance or Law Coverage—Increased Period of Restoration. This endorsement is similar to the standard Ordinance or Law endorsement except that it applies to business income and/or extra expense (depending on which coverages you have purchased).